Vijay TV, a pioneer in bringing innovative shows to the Tamlinadu audience is now launching ‘Oru Varthai Oru Latcham Junior Season 2’ on 27 April 2014. The show would air every Sunday at 1700 hrs. This game show tests one’s vocabulary of the Tamil language. Oru Varthai Oru Latcham Junior Season 2 tests the Tamil vocabulary skills of the participants in finding the correct word in a given duration with the help of clues. The game is played by two teams comprising of 2 members in each team. The first two rounds of this game show is a qualifying round wherein two teams play to qualify for the ‘Money Tree’ round. The team with maximum number of correct worlds is eligible to move on to the next level of playing the money tree round and the winner can walk away with whopping prize money of One Lakh. How to play ? – The players have to decide on who gives the clues and who answers it. The person giving the clues can give only one-word clues and cannot give sentences or hand gestures. They cannot prompt nor do any act explaining the word. For finding the correct word a maximum of three clues can be given eg: If the word is ‘Mazhalai’, the clues can be ‘kuzhanthai’ ‘Siruvar’ and ‘Pasanga’. The team scores high if they crack the answer with the least number of clues. Show Host: To play Oru Varthai Oru Latcham’ one would need good diction in Tamil and the show is to be hosted by Award winning Music Director James Vasanthan. 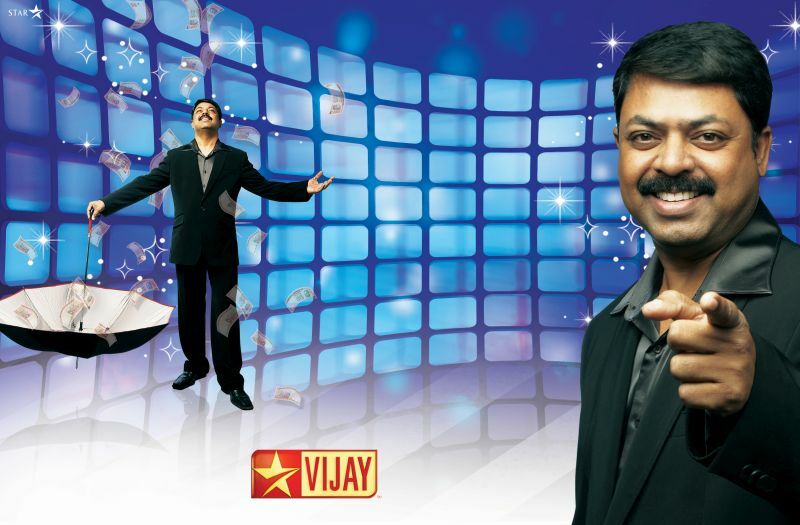 He is known for his good pronunciation in Tamil and has hosted many shows on Vijay TV in the past. The show will certainly make everyone watching play along with the participants. Stay tuned to Oru Varthai Oru Latcham Junior season 2 launching on Sunday, 27 April 2014, airing at 1700 hrs on Vijay TV.